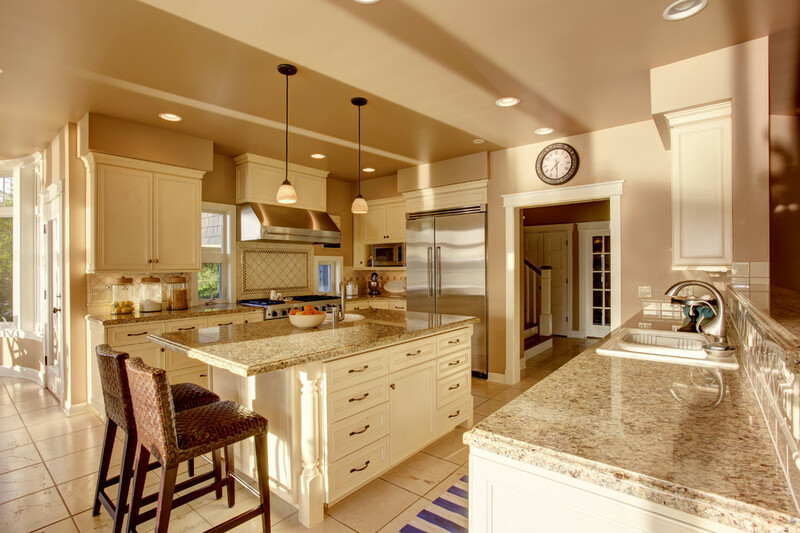 Throughout the years, Evergreen Building Group, LLC has helped their clients create the ideal kitchen for cooking, entertaining, and family life. Generous workstations, beautifully designed features and upgraded appliances are incorporated to fit each client's custom wants and needs. An elegant open space kitchen with beautiful white and black combination cabinetry. 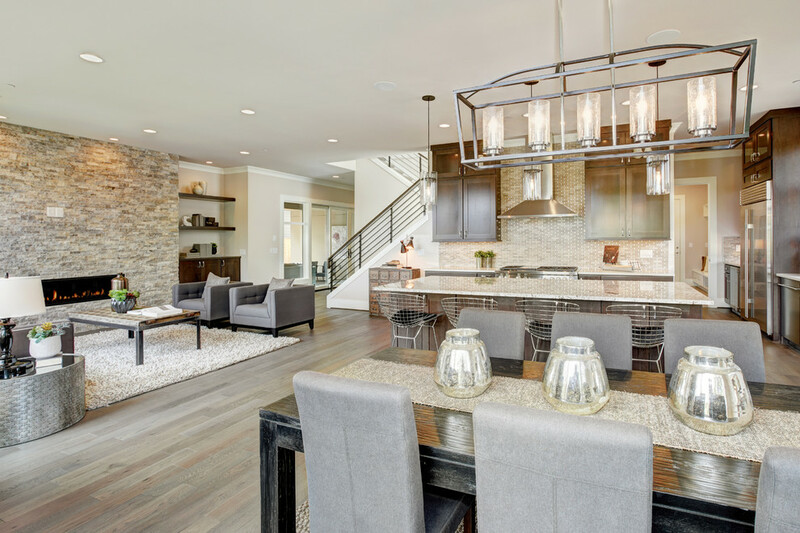 The recessed lighting, granite countertops, and crystal chandelier complete this space. 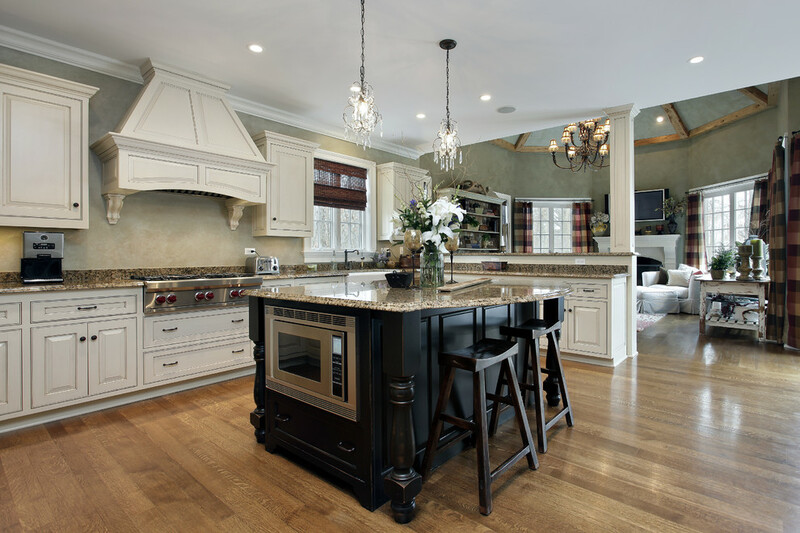 A large island is the focus of this kitchen renovation. 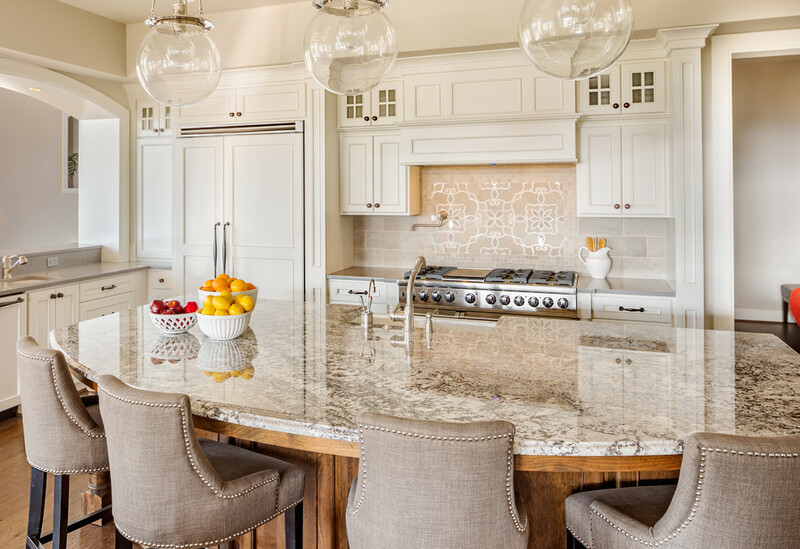 The globe pendant lights, white cabinets, and a large arched opening enhance the kitchen design. The look is completed with a custom tile backsplash and a lovely combination of solid surface countertops. This kitchen makes the most of the usable surface space with a large center island and ample surrounding counter space. The white cabinetry is accented with detailed trim, granite countertops, and custom tile backsplash complete the inviting feel of this kitchen. This fabulous great room has floor to ceiling cabinetry, commercial-grade appliances, and a featured stone wall with fireplace. This space is accented with architectural moldings, recessed, pendant and ceiling mounted lighting. All of these elements combine to create the perfect living space.